Six months ago, if you would have asked me to define the phrase “tolerable risk”, I would have stared at you vacantly. Is that even a term? My background is in the banking industry, where “risk” is a deciding factor in granting loans and deciding whether a customer can maintain a checking account. When I decided to pursue process safety, I had to relearn words and phrases that are used differently in this field. I’ve come a long way and learned a lot over the past few months; such as the meaning of tolerable risk as it relates to process safety, for instance. If you were to search for the word “tolerable” in the dictionary, you would find the definition is “capable of being tolerated; endurable,” or “fairly good; not bad.” But isn’t the term “endurable” dependent upon the person with whom you are speaking? What’s endurable to you may not be to your friend, and what’s endurable to your friend may not be to the person standing behind you in the grocery store line. If what is endurable, or “fairly good”, varies from person to person, what does tolerable really mean? And how does it relate to risk? It seems to depend on individual interpretation. So, whether you are new like I am, a veteran in the field who wants a fresh look, or just curious about tolerable risk, read on as I share what I’ve learned. So, if we don’t know exactly how to agree on a definition for tolerable, how can we determine the amount of risk that is tolerable in day to day operations at a plant? Organizations have responsibilities to limit the risks their operations pose. However, some considerations must be made when determining these limits. These considerations can be moral, legal, or financial in nature. Obviously, translating an organizations moral, legal, and financial considerations into a workable measure of risk tolerance is a subjective matter. These three considerations are often conflicting and different opinions and personalities can make determining a tolerable risk level a difficult and grueling process. However, before we can begin to debate what level of risk is tolerable, we must first ensure the word risk is clearly defined for the purposes of process safety. How does “hazard” differ from “risk”? I’ve heard the word “risk” used in many different connotations. It is often used interchangeably with words like hazard, danger or threat. In the past, I never would have differentiated the words based on their similar definitions-they all mean the same thing, don’t they? Not necessarily. Of the multiple interchanges, “hazard” is of particularly common use. In everyday speech, we use the word hazard to describe a potential problem; a space heater is a fire hazard, for instance. Hazard is also used to explain a situation in which there is a chance for failure or damage. Sounds a lot like risk, right? While it may seem that way, “hazard” and “risk” have very different meanings to engineers. In process safety, a hazard is a state or condition that is a potential source of harm. Consider this for example: A plant is unaware that fall protection must be provided for employees climbing or working on fixed ladders above 24 feet. An employee with no fall protection falls from the ladder while working and breaks his arm. The harm in this instance is the broken arm the employee sustained. The ladder lacking fall protection is the potential source of that harm, and therefore, a hazard. Now that we know how engineers define a hazard, what is risk and why is it different? It wasn’t until recently that I came to know risk as the combination of the frequency of occurrence of harm and the severity of that harm (or the product of likelihood and consequence). If we want to determine risk mathematically, we must first know the likelihood that harm will occur. Just as it sounds, likelihood is the frequency of occurrence of harm. Let’s consider the worker on the ladder again. Say we have determined that the likelihood someone will fall off the ladder is approximately once every 5 years per ladder that is lacking fall protection. If a plant has six ladders lacking fall protection, then 6 ladders x 1 fall per 5 years, per ladder, is equal to 1.2 falls per year. So, the likelihood in this example is 1.2 falls per year. In short, what we want to know is how likely is it that someone will fall off the ladder each year (or any other given time frame). 1.2 falls per year is 1.2 more than we wish to have, especially if every fall results in a broken bone. Luckily, not every fall results in an injury or broken bone; and this is where the term consequence must be addressed. In terms of process safety, consequence is the probable severity of harm. Let’s reflect on the ladders once again. As previously stated, the harm in the scenario is a broken bone. Is every person who falls off the ladder going to break a bone? No. Harm varies in severity. One worker who falls may break a bone and another may stand up and move on, unharmed. This should be taken into consideration. For the purposes of this discussion, we are only concerned with the risk of a broken bone. So, let’s say we know half the people who fall off a ladder break a bone. This makes the consequence 1 broken bone per 2 falls, or 0.5 broken bones per fall. Consequence is expressed per event and can be expressed as a fraction. Obviously, there is no such thing as half a broken bone – this number is a measurement we use in calculations and using the fraction keeps our numbers accurate. If we were to round up or down to 1 broken bone or 0 broken bones in an attempt to be more logical, we would see inaccurate results as the calculations carry on. Now that we know the likelihood and consequence in the ladder scenario, we can determine the risk of someone breaking a bone due to a fall from a ladder with no fall protection. To sum up, if half the people who fall off a ladder break a bone, the consequence is 0.5 broken bones per fall. The likelihood that someone falls off a ladder is 1.2 falls per year for a plant with 6 ladders without fall protection, assuming someone falls off a ladder once every 5 years per ladder. If risk is a product of likelihood and consequence, then we do the math. Risk is expressed per unit of time. Like consequence, it can be expressed as a fraction. So, the “risk” of harm in the scenario at hand is 0.6 broken bones per year. This is the measurement we will use to guide the discussion of just how much risk is tolerable. Risk can be measured in different scenarios with different hazards and varying resulting harms. Maybe you’re more concerned about concussions, or sprained ankles. As long as you know likelihood and consequence, you have the knowledge you need to make a risk determination. 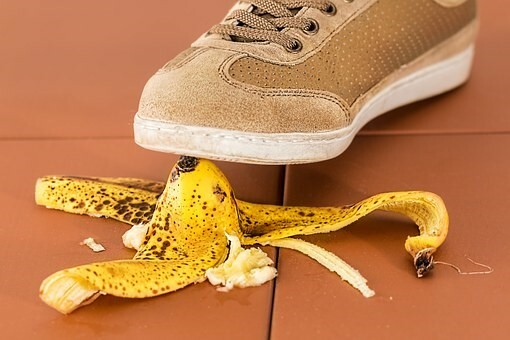 When discussing risk in terms of broken bones, you might think, “Well 0.6 broken bones per year isn’t that bad if the cost of the fall protection significantly impacts the budget.” However, the harm done in an alternate scenario may be much more severe than a broken bone and a cast. For example, what if a worker in a different situation lost a limb, or even died? Would 0.6 per year still be acceptable if these consequences were the topic of discussion? Under what circumstances would death ever be acceptable? At this point, you might find yourself asking, why do we tolerate risk at all? The answer is that risk is unavoidable – all activities have some level of risk. Try as we might, there is no such thing as zero risk. We can only reduce the risk of an activity to zero by avoiding it entirely, but then we substitute a different activity with its own risks. For instance, you’re getting ready to go on a vacation and your family votes each year on the destination. Your family wants to go to Disney World in Florida, but your vacation is during hurricane season. You feel the level of risk is too high (or intolerable) and vote against the choice. You offer the solution of a vacation to Disneyland in California instead. However, your family protests that California has earthquakes. While the risk may be less since an earthquake is less likely to occur than a hurricane in hurricane season, there will be a level of risk in the California vacation as well. By choosing California, you are simply choosing the risk that is tolerable to you. We tolerate risks because we believe the benefit of an activity outweighs the risk. You want to take your family on a great vacation but the benefit of a great vacation does not outweigh the risk of being caught in a hurricane. Yet, an earthquake is low enough risk that you are willing to take the chance. Deciding on a tolerable risk level can be difficult if the decision is made by a group rather than an individual. If the risks are evenly distributed (you all find hurricanes terrifying), then drawing a tolerable risk line is simple – you’ll take the California vacation. Sometimes, however, even though the benefits go to everyone, the risks fall to small groups. What if the other members of your family find the hurricane risk to be tolerable and you are the only member who personally finds the risk too high? What if they argue that a hurricane can be forecast days in advance but an earthquake has no warning and they find the earthquake risk to be too high? Do you go along and sacrifice your concerns? As a society, we say “Sometimes sacrifices must be made for the greater good.” Many are willing to make those sacrifices. This brings us full circle to translating an organizations moral, legal, and financial considerations into a workable measure of risk tolerance. When is the risk too great? We tend to look at risk emotionally. One of the purposes of Risk Management is to “objectively assess risk.” Objectivity is great in theory but can be difficult when discussing matters close to the heart. For some people, these matters are moral. For some they are legal, and for others, financial. Every individual who has a hand in determining tolerable risk has different values and beliefs. Deciding a tolerable level of risk seems morbid, but it’s necessary. Most of the debate in society about risk is the result of different individuals assigning different values to the risks and to the benefits, then coming to different conclusions about whether the benefit outweighs the risk. Even though zero risk isn’t a feasible goal, we should never be so focused on financials and productivity that we forget to focus on the threat to human wellness and life. My desire as an individual working in process safety is to remind you that when you draw your line and declare tolerable risk, money can be recovered in the end, but you can’t recover a human life.